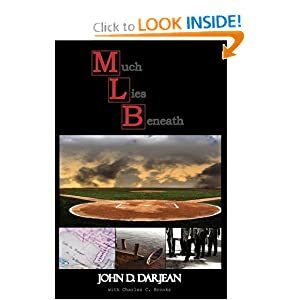 Brandon Lawtell is a country boy from Redstick, Louisiana whose life-long dream becomes a reality when he signs a pro baseball contract with the best baseball team ever. While making his way up through the minors, his dream rapidly becomes tarnished as he begins to see many shocking things happening around him that utterly destroy the image that he has always had from childhood of pro baseball and everything that he thought it stood for. Brandon is caught up in a whirlwind of corruption, turmoil, and threats. He is torn between making a decision to forget what he knows, keep quiet, and continue to advance in his career or to speak up for the things he believes to be right and to protest against the things that he knows in his heart are wrong. He knows that if he makes the latter decision, he is jeopardizing his career and his future and will most likely be sentencing himself to being banned and blackballed from the one thing he loves most in life. Brandon decides to do what is right. Brandon’s actions are driven by his concern for the integrity of the game, his fellow baseball players, the baseball fans, and especially our future generation, our children. Through Brandon’s courageous effort, baseball fans will soon learn the truth that has been hidden from them for over 15 years. Read Brandon Lawtell’s account of witnessing firsthand the smuggling of illegal immigrants into the U.S. by dark of night from Cuba and the Dominican Republic. Read of corruption within the ranks of Pro baseball against itself as scouts are caught falsifying birth records, skimmi ng off the top of signing bonuses, and receiving payoffs from the illegal immigrants in return for getting them into the U.S. and signed to a Pro baseball contract. Read Brandon Lawtell’s account of management’s behind-the-scenes acceptance and encouragement of the usage of illegal drugs while at the same time outwardly denouncing knowledge of their use. Read Brandon Lawtell’s depiction of actual incidents of corruption, lies, racism, self-serving attitudes and uncaring concern for the fans, the adults and kids who love baseball, its players, and all that they believe it stands for. Read Brandon Lawtell’s compilation of actual stories given to him by Big League players who wanted him to speak out for them to reveal never before known secrets about baseball that the players have kept hidden for years to protect their careers and pensions.